Jessica and Matt were married under the gazebo at the Mount Airy Forest in early May. 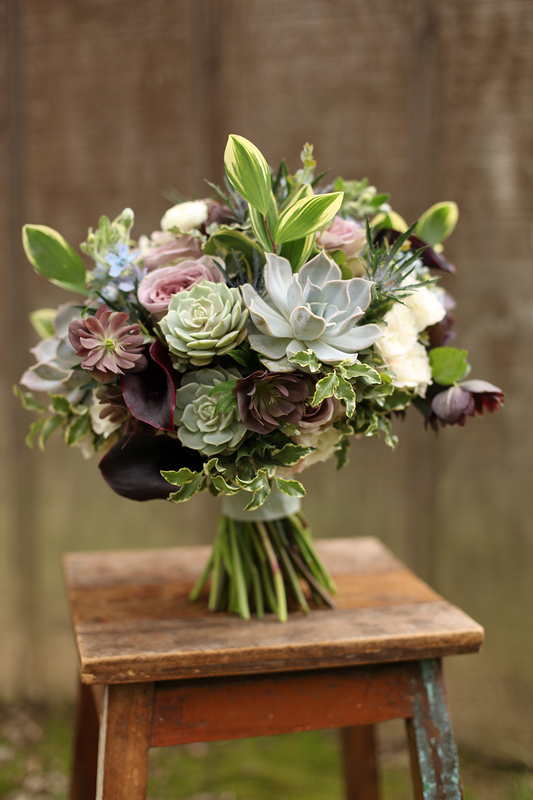 Jessica carried a textural bouquet with stunning double purple hellebores from Hautau & Sons farm, succulents and variegated Solomon’s Seal. The bridesmaids carried bouquets of succulents, roses and foliage. 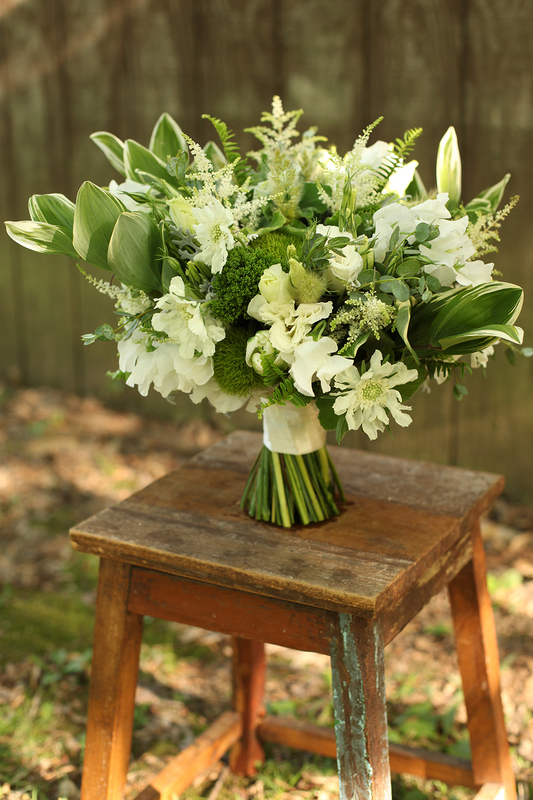 The mothers carried petite bouquets of succulents and foliage. Congratulations to Jessica and Matt!